Cheap And Cheerful, Santiago De Cuba, Mischievious Max, Subjudice, Larmour, Parisian Express, Rest Bay, Saltillo,Foreign Assignment,Ace Combat,Escamillo, National Glory,National Wealth, Palace Guard, Rapture's Delight,Stronghold, Tremendous Leap, Eagle Song,Facethepuckout & Tenax have all gone from Owning Hill. Shane Crosse moved ever closer to the apprentice jockeys' title with a victory on board Tuamhain in the Barna Recycling Handicap at Galway. Crosse moved onto 26 winners for the season which ends at Naas on Sunday. He is now four ahead of Killian Leonard and five in front of Ben Coen. 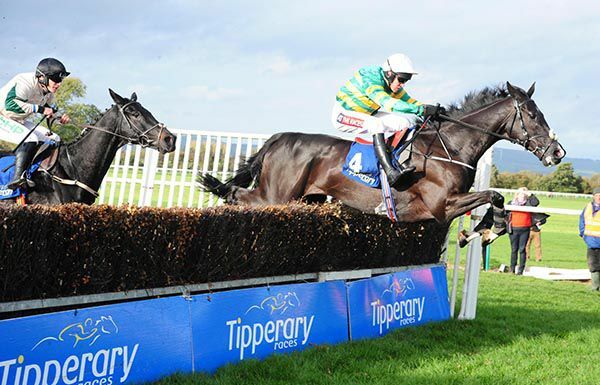 Tuamhain won at Gowran Park under Crosse last week when 5/1 favourite and was 11/4 'jolly' this time. She crept into contention passing the two pole and came to grab Cyrus Dallin (with Leonard on top) inside the final furlong. She swept home in the final 100 yards to prevail by two and a half lengths. Runner-up Cyrus Dallin was 7/1 while Escallonia in third was returned at 14/1 ahead of 7/1 shot Bercasa in fourth. 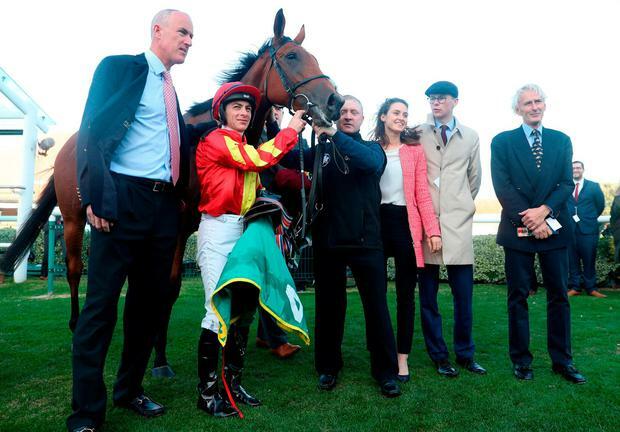 Joseph O'Brien's representative Damian Byrne said: "She is an improving filly and she is a straightforward filly. 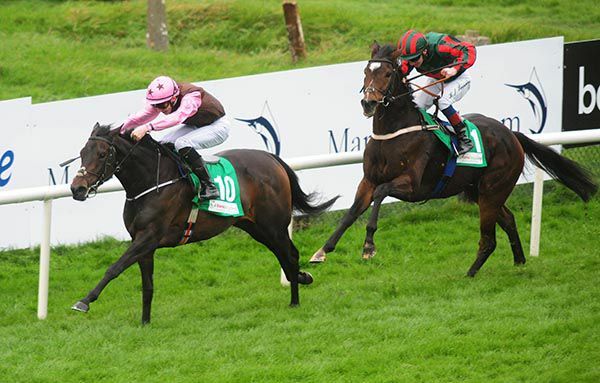 "He (the handicapper) didn't miss her by giving her 10lbs for winning at Gowran but she won well there. "Even when Kevin (Prendergast) had her she liked an ease and she wants that softish ground." Lady Godiva was claimed by Martin Hughes to be trained by Lee Smyth. 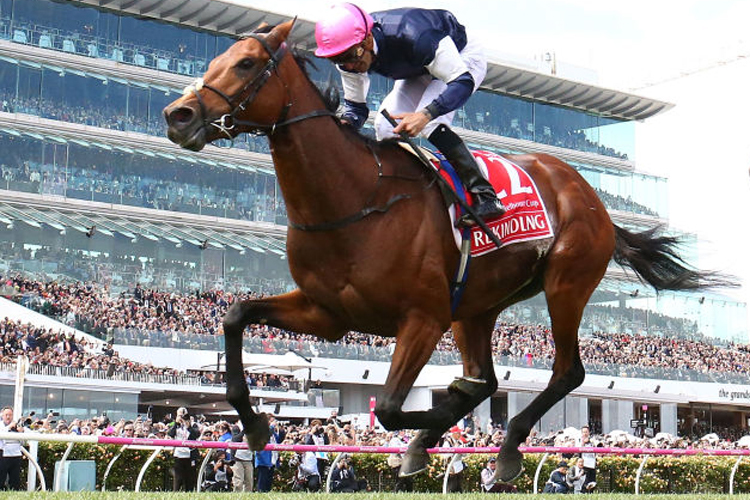 Lloyd Williams has announced his Irish Derby winner, Latrobe, will bypass the Melbourne Cup and instead target the 2000-metre Mackinnon Stakes on the final day of the Flemington Carnival. The son of Camelot has a very similar profile to last year's Melbourne Cup winner, Rekindling, with both horses coming to Australia as Northern Hemisphere three-year-olds having run second in the Irish St Leger. Latrobe has twice been a winner from his seven race starts, including the Irish Derby triumph at The Curragh in late June. Williams' brief note on Thursday morning stated 'the Cup this year at 3200m is too soon for him'. Latrobe touched down in Australia on October 13 as part of the third international shipment to arrive this Spring Carnival. 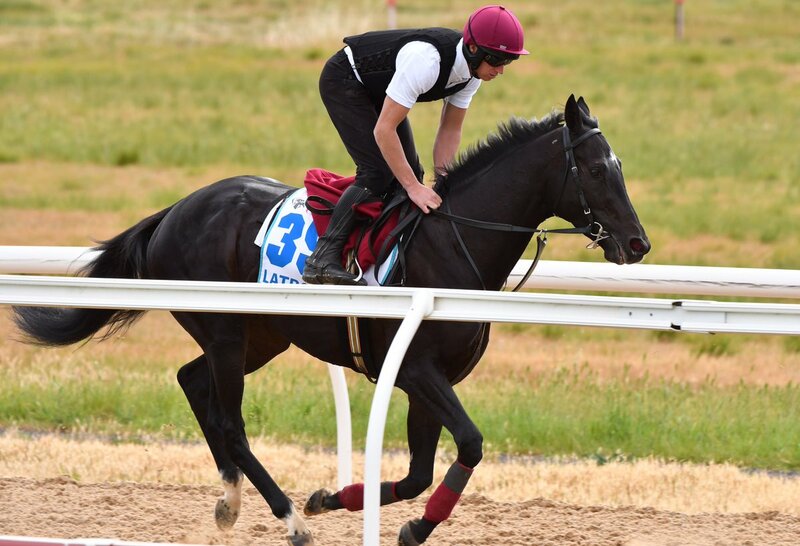 By all reports, he has settled in well and is thriving at the Werribee training base. Williams has a strong hand heading toward the Melbourne Cup, headed by the race favourite, Yucatan Ire, who was dominant in winning a fast-run Herbert Power at Caulfield at his only Australian start. Latrobe was on the second line of Melbourne Cup betting at $11. Tuamhain made the breakthrough on her fourth start for Joseph O'Brien, as she ran out a comfortable winner of the Callan Handicap. Previously trained by Kevin Prendergast, the daughter of Mayson was placed on her last two starts at Naas and Cork respectively. Owned by the Wait For Us Syndicate, the bay three-year-old opened on-course at 13/2 this afternoon, before going off the 5/1 favourite under Shane Crosse. Settled behind the leaders, she was third approaching the straight, and was pushed along to lead from the furlong pole. She was ridden and extended her advantage in the closing stages, going on to score by three and a half lengths. Crosse, who was recording his fifth winner in as many days, said afterwards: "The plan was just to get her settled in behind one or two. She jumped very well and I got a bit of cover, and turning into the straight she was going the best of them. "I think I probably still got there a bit too soon but to be fair to her she kept at her game and put it to bed easy. 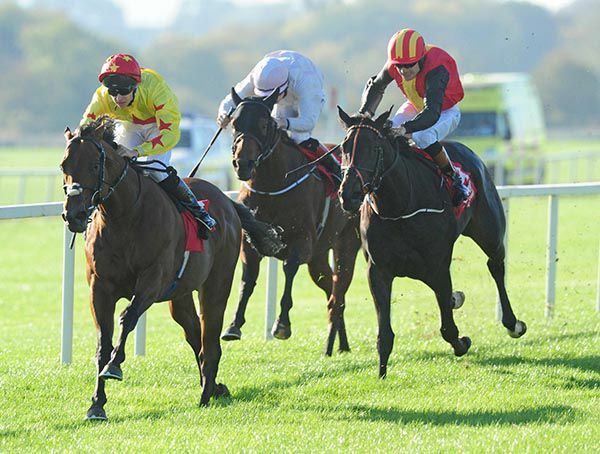 Downdraft swooped in the mile and a quarter handicap to give Joseph and Donnacha O'Brien a double at Naas. The three-year-old colt stayed on strongly to get up in the closing stages and win by a length and three quarters at 5/1. New Direction (11/1) was beaten into second, a nose in front of Tudor City the 3/1 favourite. 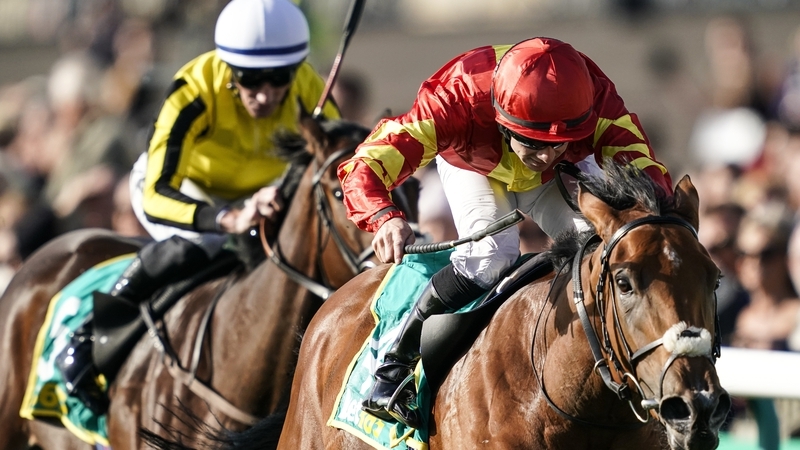 “He lost his way a little bit in the middle of the summer,” Joseph O'Brien said. “In fairness to the owners they said to freshen him up, take your time with him and pick a race before the season ends. “We were able to train him for here and I think a mile-and-a-quarter seems to be his optimum trip.
" He likes to be held up and Donnacha gave him a great ride in fairness, he put him asleep and came down through the middle of them. “You'd have to say he's well entitled to go back into stakes company whether it'll be this year or next year. 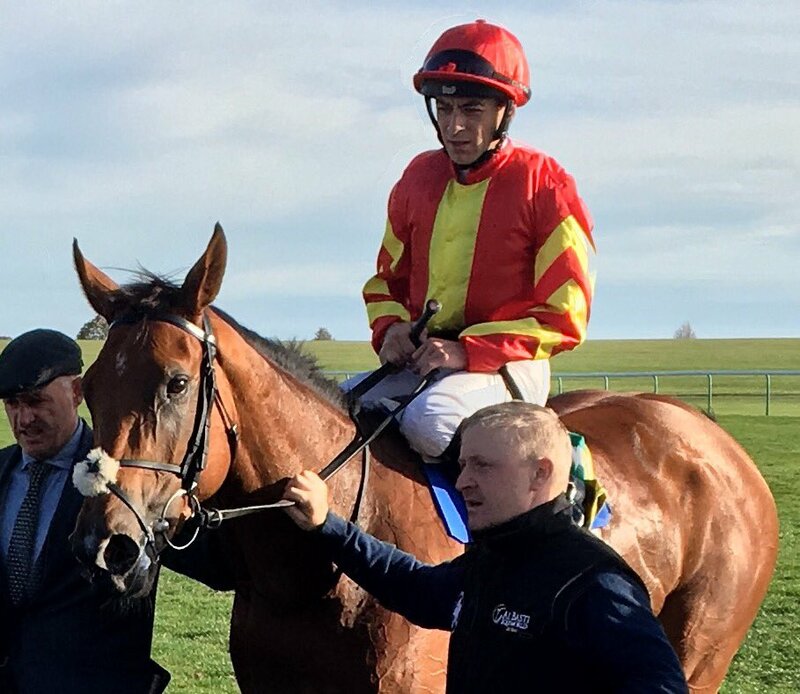 A drop in trip worked wonders for Rainbow Moonstone as she opened her account at the second time of asking in the Rathasker Stud Irish EBF Fillies Maiden at Naas. 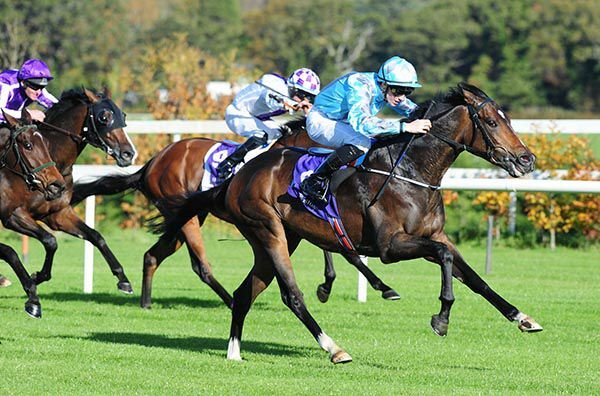 The Joseph O'Brien-trained filly had finished last of 16 on her debut at Gowran six days ago when running over a mile. Shane Crosse produced the daughter of Holy Roman Emperor to lead over a furlong from home in today's six-furlong contest. The 16/1 shot kept on well in the closing stages to beat Galtee Mist by three-parts-of-a-length. 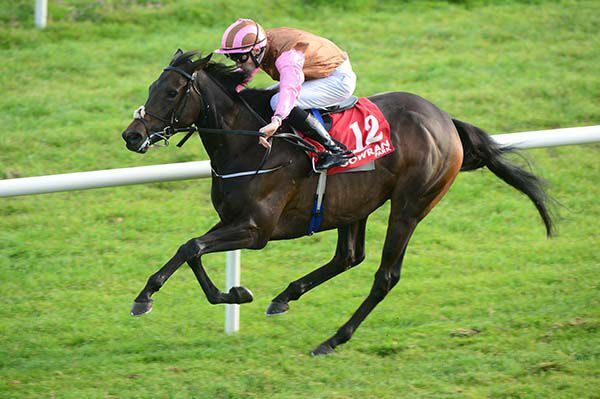 “We thought she'd run very well in Gowran last week but she didn't stay,” said O'Brien. “It was a mile on heavy ground, she travelled really well but just walked the last furlong. “We dropped her back to six today and she's won. We didn't think she'd win but we thought she'd run well. “I'm delighted to have my first winner for Mrs Nagle. “I'd say there's not much left for her. I'd say she's not one for the all-weather and that's why we rushed her back a little bit. Shane Crosse rode his 21st winner of the campaign on Perfect Tapatino in the finale at Leopardstown, and he now leads the apprentice title by one from Ben Coen. Crosse was completing a 31/1 brace for his boss, Joseph O'Brien, having earlier landed the nursery on the Annus Mirabilis Syndicate-owned Arcturus. 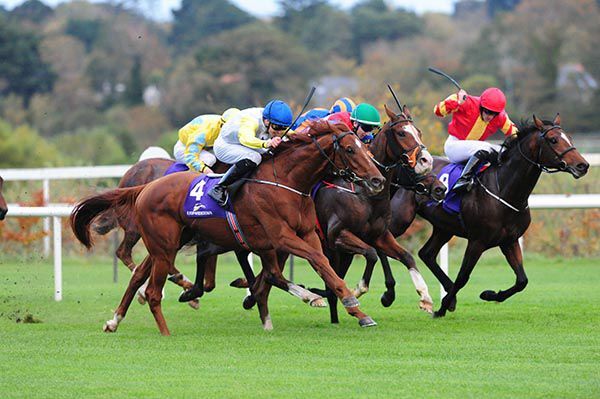 Perfect Tapatino, the 5/2 favourite, had to battle, with only a length and quarter splitting the first four home in the Leopardstown Members Club Handicap. The fourth past the post, Madrid (6/1 in 7/2) belongs to Joseph's father Aidan, but it was One Cool Poet and Marlborough Sounds that gave the Charles Fipke owned and bred Perfect Tapatino most to do. 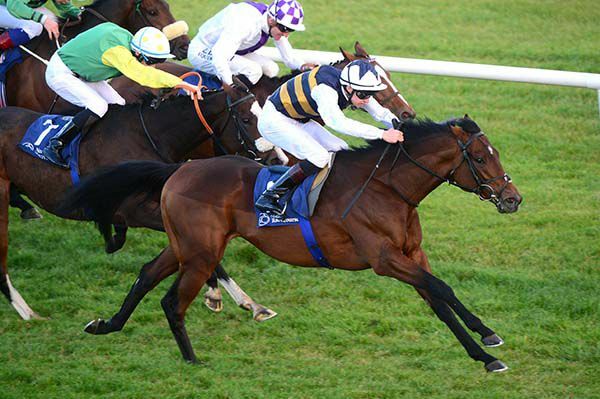 The winner is on an upward curve though, and he gained his third win in five starts by half a length and a neck. Joseph O'Brien was over at Ascot where he saw his Speak In Colours finish down the field in the sprint. O'Brien was recently revealed as by far the busiest trainer in Ireland for the third quarter of 2018. The 25-year-old Melbourne Cup-winning trainer is sitting second in the Irish Flat trainers' championship this season, whilst he's fourth in the jumps table. 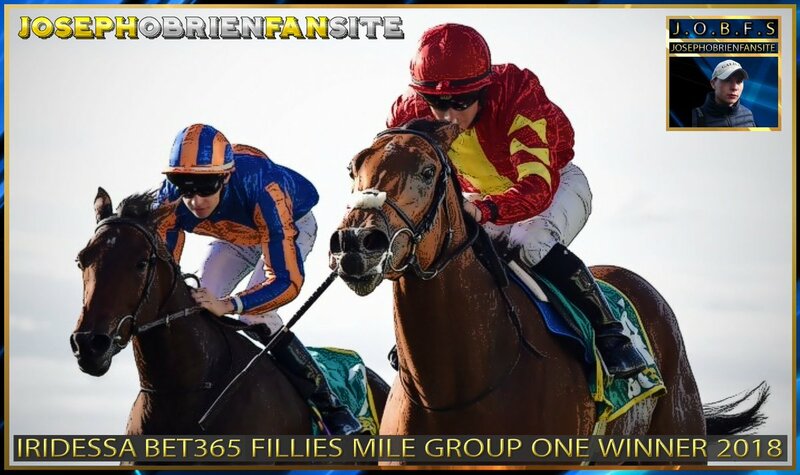 O'Brien sent out a staggering 427 runners during July, August and September. Shane Crosse went level with Ben Coen at the top of the apprentice table when landing race three at Leopardstown for Joseph O'Brien on Arcturus (8/1). It's bunched up top between Crosse, Coen, Killian Leonard and Tom Madden, but the winning jockey here put himself in with every chance with his 20th success of the campaign. Listowel maiden victor Arcturus made a winning debut in the sphere, in this Leopardstown "Christmas Cracker" Nursery Handicap (Plus 10 Race), upstaging Harvest Bow by a length and a half. "Joseph has given me a lot of opportunities, and on a day like today when all the lads have a big job to do in England then I get to take a part here. A big thanks to Aidan as well who put me up on two maidens earlier in the day," said Crosse. "If I had a target at the start of the season then I have exceeded it as I couldn't have dreamt how things are going at the moment. "Today is only this horse's third run. He did well to get the split in Listowel, and today I didn't think I was going to get there as easy but he did. He had a bit of a look in front and I think if there was one to bring him to the line then he would have won a bit more snug." Joseph O'Brien brought up a quick double at Dundalk when King's Field landed the Book Your Christmas Party At Dundalk Handicap under his brother Donnacha. Half-an-hour earlier Donnacha had finished second on the stable's Vhagar, a race that went to Piltown representative Eagle Song under Shane Crosse. Here King's Field, a Cork winner from nine days back, got the better of Admirality close home to triumph by a neck. "He's genuine but he only does what he has to," said Donnacha O'Brien. "He only really gets going when you get stuck into him but in fairness he did put his head out. "You'd have to think he'd improve for a little bit of experience in a race like that. He's probably not used to going that pace in a race but he's done it well at the line." 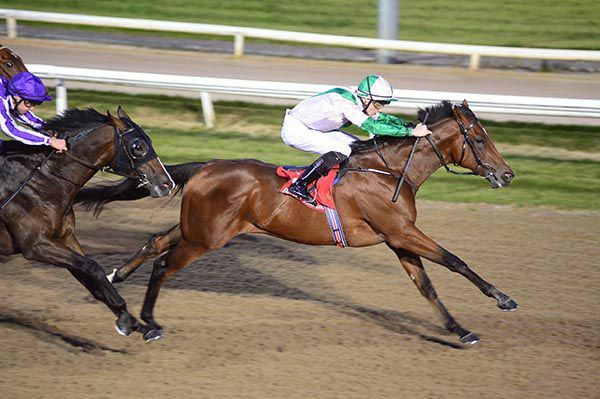 "I tried to keep everything as similar as I could to what I did here two weeks ago," said Shane Crosse after scoring stylishly in the Christmas Party Nights At Dundalk Stadium Nursery Handicap (Plus 10 Race) on Eagle Song. Joseph O'Brien had a 1-2 here with Eagle Song (15/8 favourite) easing through from off the pace in the straight to beat Vhagar (15/2 shot with Donnacha O'Brien up) by two and a quarter lengths. 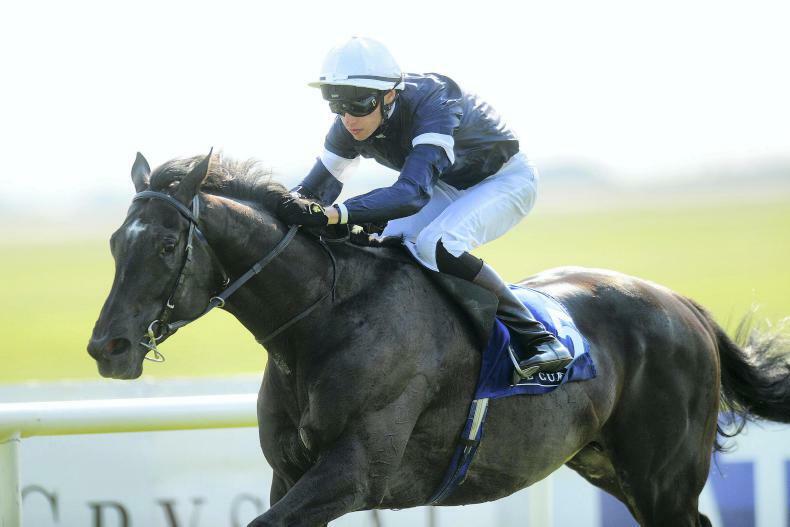 "He's got a load of ability and we're just starting to find the key to him now, take our time on him and ride him like the best horse in the race," further explained O'Brien. "He's showing it now. He's come past 90 percent of the field there in the last furlong and he's gone away at the line again. "I'd imagine he'll go for some black-type now, bigger and better things. "I'd say his days in handicaps are gone now so we'll see how he goes from here." Can Latrobe give Joseph back to back Melbourne Cup wins? Latrobe will try and give Joseph O’Brien back-to-back victories in the Melbourne Cup in three weeks’ time. Iridessa’s victory in last week’s Fillies Mile was O’Brien’s latest Group One feat in a career which reached global status in 2017 after Rekindling made him the youngest trainer ever to win the Melbourne Cup. That Rekindling beat Johannes Vermeer, trained by O’Brien’s father, Aidan, added to a sense of family history which might yet be repeated on the first Tuesday of next month. He carries the same Rekindling colours of Australian owner Lloyd Williams who can also call on O’Brien Snr’s Yucatan, the hugely impressive weekend winner all but guaranteed a Melbourne Cup slot after getting a 2.5kg penalty for his Caulfield victory. Williams’s son Nick has already described Yucatan as a Melbourne Cup “winner in waiting”. But he is eagerly awaiting Latrobe’s Flemington appearance too. The top Sydney rider Brenton Avdulla will ride the three year old. A win for Latrobe would see O’Brien become the first trainer since the legendary Bart Cummings (1990-91) to win the Melbourne Cup back-to-back with different horses. 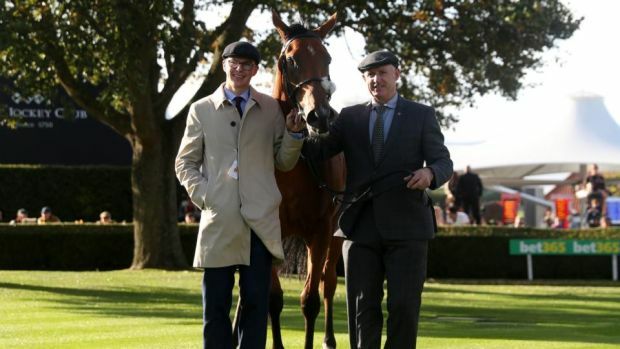 The Melbourne Cup and Irish Derby winning combination of owner Lloyd Williams and trainer Joseph O'Brien were on the mark in the opening Irish Stallion Farms EBF Maiden at Gowran today, as their Millswyn over-turned the Ballydoyle trained 4/11 favourite Il Paradiso. Williams and O'Brien combined to win the Australian show-piece last November with Rekindling while Latrobe landed the Irish Derby in June. Today's winner Millswyn is also by Latrobe's sire Camelot, whom trainer O'Brien himself rode to an agonising final-leg defeat in his 2012 British Triple Crown attempt. 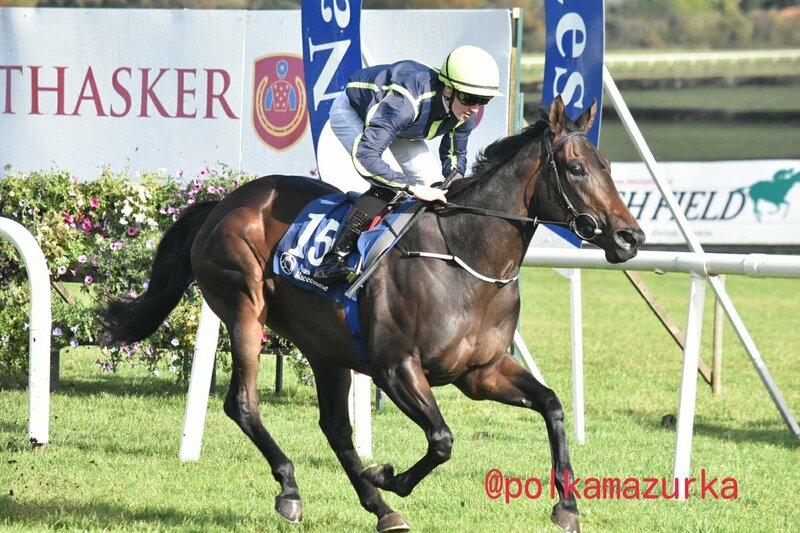 Millswyn was today partnered to victory by apprentice jockey Shane Crosse, who moved the colt to lead over a furlong out and in the end the pair scored a three parts of a length win over Il Paradiso. On a great day for Joseph O'Brien, when he trained his first Group One winner in England with Iridessa in the bet365 Fillies' Mile, the Piltown handler supplemented those Newmarket gains at Dundalk with first-timer Cnoc An Oir. O'Brien was expected to take this Irish Stallion Farms EBF Fillies Median Auction Maiden (Plus 10 Race) with 5/2 favourite Syrena. That one had to settle for third as the well-related Joan Brosnan-owned Cnoc An Oir, in the hands of Shane Foley, got the better of Lavender by a length and three parts. "She jumped and travelled but we went very slow. I was in the box seat but got there plenty soon enough for a filly having her first run. She's done it well," reported Foley. "When she got to the front she had a good look. I didn't pick up my stick because she was always doing enough." Iridessa causes an upset by winning the @bet365 Fillies' Mile (Group 1) at odds of 14-1 under Wayne Lordan for trainer @JosephOBrien2. King's Field galloped on strongly in the closing stages to open his account in the Mallow Maiden at Cork this afternoon and give trainer Joseph O'Brien a double on the card. The Kodiac colt was sent to post the 11/8 favourite after an unlucky run in defeat when third at Fairyhouse last month. Donnacha O'Brien soon has his mount in front but relinquished the lead to Encantador after three furlongs. He claimed the advantage again shortly after the two furlong pole and galloped on strongly in the closing stages to post a length victory. The winning rider said:- "I had an outside draw today and kept things simple. “He is a lazy horse and has more speed than he shows and is there for you when you want him. When you don't want him, he relaxes nicely. "I never felt like I was going to be beaten and I knew he'd be there for me when I gave him a flick and when I did, he went on for me." 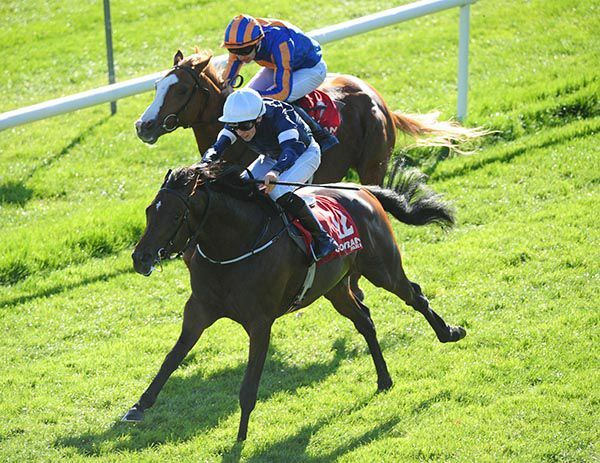 Joseph O'Brien had also landed the featured Navigation Stakes with the Wayne Lordan-ridden Ship Of Dreams. Ship Of Dreams gained a deserved victory in Listed company with a fine front-running performance, under Wayne Lordan, in the Navigation Stakes at Cork this afternoon. 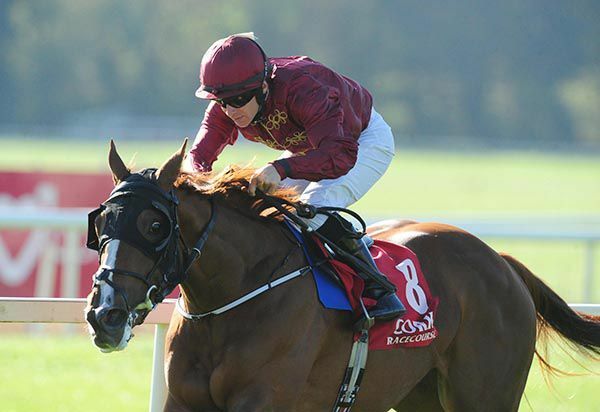 The Joseph O'Brien-trained, Qatar Racing-owned, filly was sent straight into the lead in the mile contest and was asked to stretch her field passing the two pole. The 15/8 favourite kept on strongly inside the final furlong, as North Face gave chase, to record a two-and-a-quarter length success. 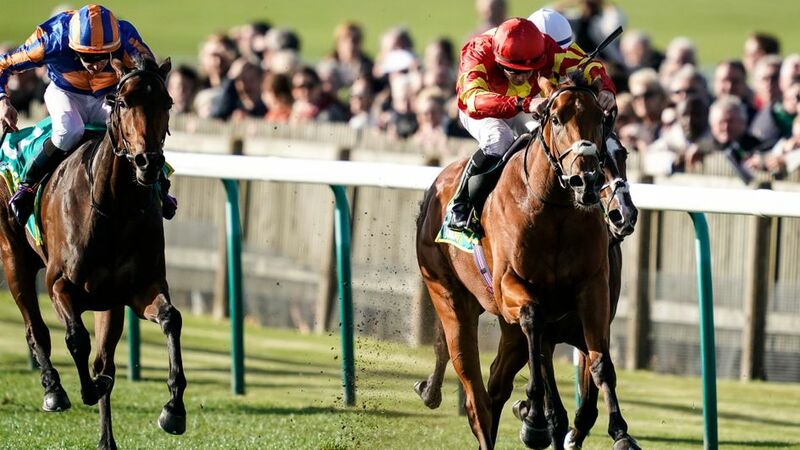 Ship Of Dreams, a daughter of Lope De Vega, had previously been placed in two Listed contests and two Group 3 events. "It is nice to get her head in front. She stays well and the plan was to make the running and it's a nice track to do that on,” said Lordan. "She is very game and has been unlucky and been on the wrong side of a few photo finishes but today worked out nicely." Newcomer Midnight Run went into plenty of notebooks after routing the field in the concluding bumper at Galway. The four-year-old gelding raced in fifth before being asked by Tom Hamilton to go about his business with two and a half furlongs to travel. 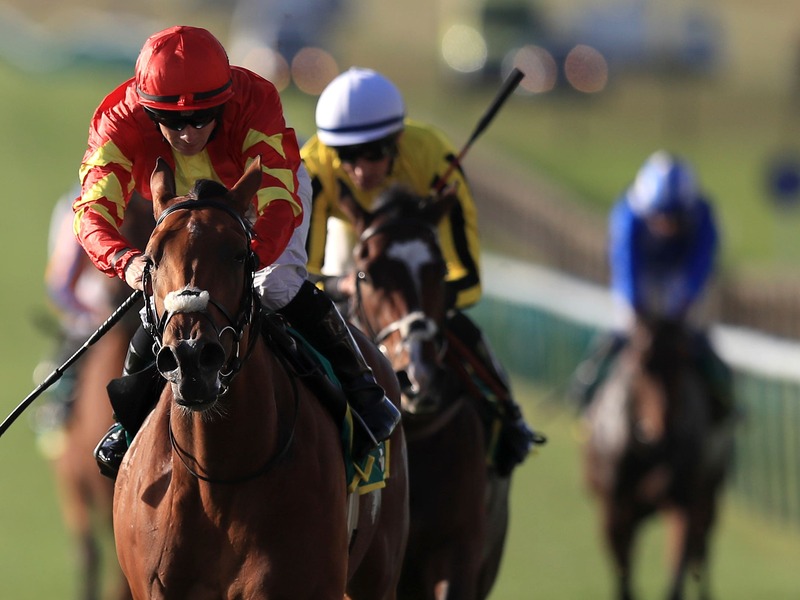 He made rapid headway to storm into the lead approaching the straight and drew further and further clear in the final furlong to hit the line five and a half lengths to the good. Joseph O'Brien's charge didn't go unbacked as he was returned at 7/2 from an opening show of 5/1 and indeed 9/1 in the morning. Tom Hamilton said: "That was lovely. He picked up well and he went away and did it like a good horse. After winning the opener with Choungaya, Joseph O'Brien and Gigginstown House Stud doubled-up their tally in the www.tipperaryraces.ie Beginners Chase, as Young Turk led home his six rivals. Successful in a point-to-point for Pat Doyle back in 2015, the French bred son of Poliglote since took a maiden hurdle at Bellewstown last year. Having disappointed on his racecourse debut over fences at Kilbeggan in August, he again ran below par when fifth on his most recent outing at Listowel. Upped in trip to two mile seven today, and back on good ground, the seven-year-old bay was sent off a 5/1 chance under Rachael Blackmore. Settled in mid-division, he took closer order in third with a circuit to race, and was poised to challenge behind the leaders on the approach to two out. He got to the front before the final fence, and despite idling on the run-in, he came home a length and three parts to the good. Burren Life (4/1), also owned by Gigginstown House Stud, finished second under Davy Russell for Gordon Elliott, while the even money favourite Moyross was another three and a quarter lengths back in third. 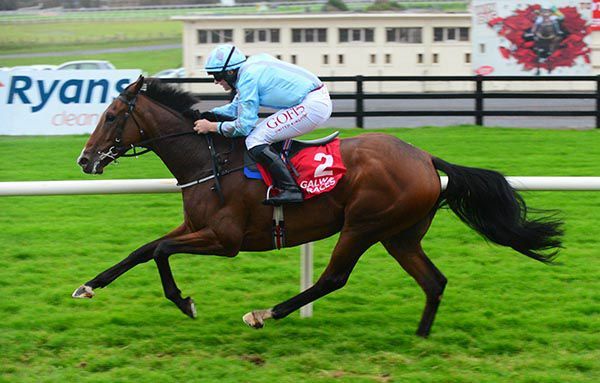 Blackmore said afterwards: "He progressed again from Listowel so it was a lovely performance. "Joseph said to take my time with him and come with one run. He did it well. He was still in front a bit soon but he was right for today and he jumped well." 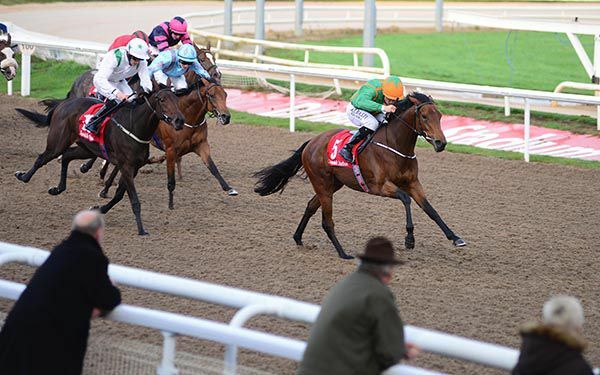 After being placed on his last three starts, Choungaya made the breakthrough in the opener at Tipperary this afternoon, the Join The Tipperary Supporter's Club Maiden Hurdle. Seventh on his debut over flights at Navan last December, the Joseph O'Brien trained five-year-old since took minor honours in three bumpers. Back over flights this afternoon, the son of Walk In The Park was sent off an 8/1 chance with Mark Walsh aboard for Gigginstown House Stud. Settled behind the leaders, the bay victor took closer order in second from three out, and got to the front after the next. He went a few lengths clear approaching the final flight, and kept on well from there to score by four and three parts of a length. 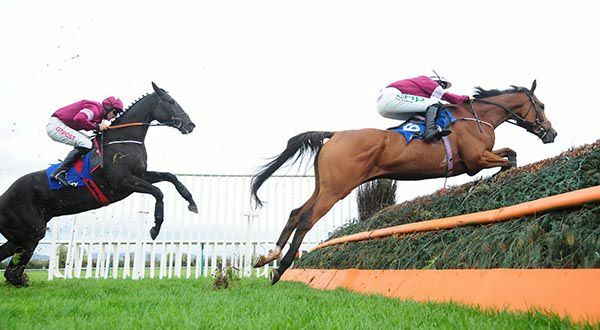 Mark Walsh, who was recording his second in the success in the Gigginstown colours, said afterwards: "He was good. He ran in a hurdle on his first run and then ran well in three bumpers. Joseph said to be good and positive on him today. "He jumped his way down the back upside Rachael (Blackmore, on leader Visioman) and we fairly sprinted in the straight but he sprinted best. It was a good performance by him." The winner was bought for E165,000 by Willie Mullins and Harold Kirk at the Goffs Landrover Sale in 2016. Le Richebourg makes it 2 out of 2 over fences. 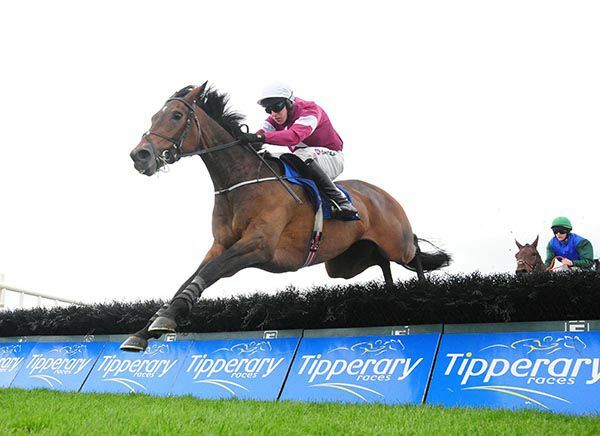 Le Richebourg made it two wins from two over fences when justifying favouritism in the Like A Butterfly Novice Chase at Tipperary. 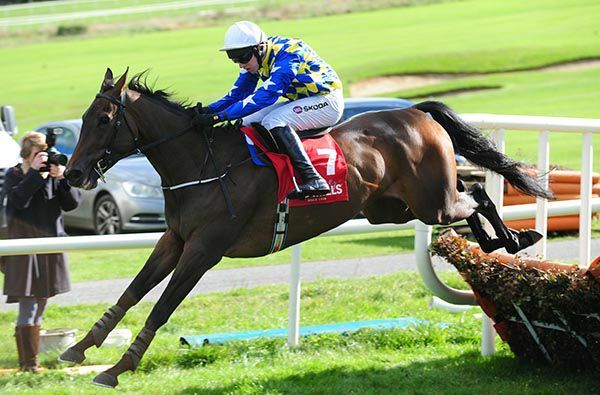 The Joseph O’Brien-trained gelding jumped well when successful on his chasing debut at Listowel last month, and again looked the part in this 2m4f Grade 3 event. Robin Des Foret briefly looked a big threat when looming alongside at the penultimate fence but Le Richebourg showed an immediate response when shaken up by Barry Geraghty. The 11/8 favourite was two lengths up when his nearest rival made a slight mistake at the last, and he stretched clear on the run-in to score by an impressive seven lengths. Winning owner JP McManus' racing manager Frank Berry said, "That was great and he came on a bit from Listowel. He likes that nice ground and Barry said he jumped great and you couldn't ask for much more. "He was doing his best work at the finish of his races over hurdles so I'd have been surprised if he didn't get 2m4f, and he could even step up further. "We'll keep to that trip for the minute and we'll look at some of the good races coming up in the next few weeks. "You could only be pleased with him and he has a good old technique." 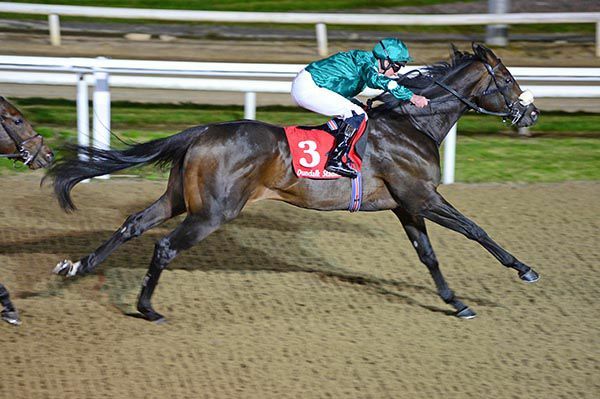 Joseph O'Brien struck with a couple of sons of hot young stallion No Nay Never at Dundalk last night. Those were over seven furlongs but it all comes alike to the Carriganog Racing team with their Vinnie The Hoddie taking the two and a half mile maiden hurdle at Gowran today. This Connolly's RED MILLS Irish EBF Auction Maiden Hurdle lost some of its interest with the defection of Felix Desjy, but Vinnie The Hoddie ran out a good winner under Mark Walsh nonetheless. A well backed 15/8 shot (from 11/4), the pace-setter asserted from between the final two flights to put eight lengths between himself and favourite Macgiloney. "He did it well. It was his first time on that ground. When I rode him the last day I thought he wanted that ground and further," stated Walsh. "Myself and Joseph had a chat and said if nothing wanted to go on we'd let him go on and he loved it. He was a little bit green early but the further he was going the better he was going. "He'll get further and he'll jump a fence in time too." Vinnie The Hoddie is a brother to Royal Caviar, last seen in action when fourth in the 2017 Arkle behind Altior at Cheltenham. 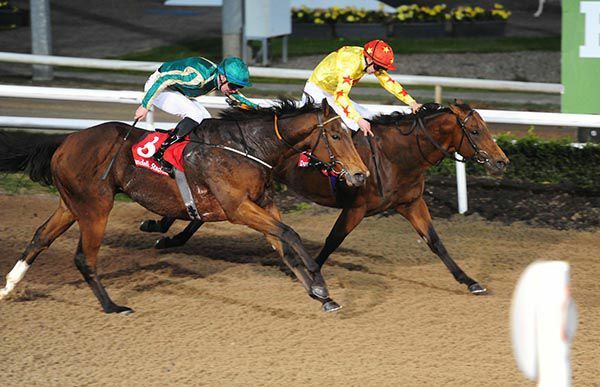 The Joseph O'Brien-trained No Needs Never proved too strong for hotpot Old Glory in the Listed Star Appeal Stakes at Dundalk this evening. The €1.6million sale-topping son of Frankel went to post a 4/6 shot for the seven-furlong contest after an impressive victory on his debut at Naas last month. The Ballydoyle-trained favourite bounced out to make the running but came under pressure passing the two pole. No Needs Never got a split to challenge a furlong and a half from home, under Seamus Heffernan, and hit the front going to the furlong marker. The son of No Nay Never (having his third winner of the night) stayed on strongly in the closing stages to post a convincing length-and-three-quarters win at odds of 8/1. No Needs Never had run on to finish fourth in a £300,000 sales race at Doncaster on his last outing, having been hampered over a furlong from home. “Joseph fancied him. 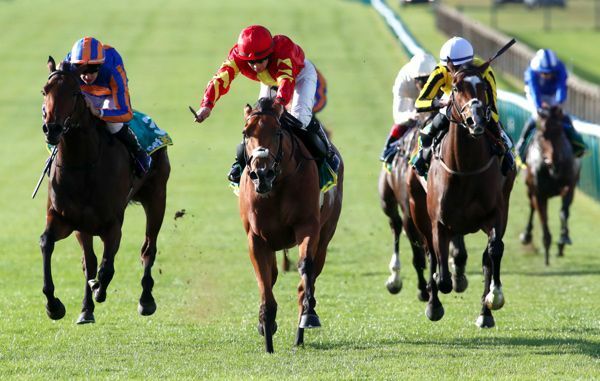 He had a very good run the last day and was possibly a little bit unlucky,” said Heffernan. “The only disappointing run he had was in Ascot and that can often get to a horse. I was impressed. “You'd be hoping the No Nay Nevers would train on better than himself but any of the ones I've dealt with I'd be fairly sure that they are going to. He could be something to look forward to. 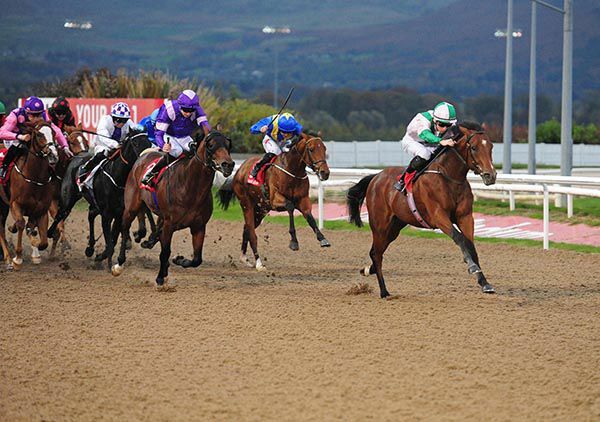 Back up at seven furlongs and racing on the all-weather for the second time, Eagle Song, another son of leading first-season sire No Nay Never, took the honours in race three at Dundalk, the Cargotec Ireland Nursery Handicap (Plus 10 Race). Winning trainer Joseph O'Brien's father and brother, Aidan and Donnacha, landed the opening maiden on the card with the smart looking No Nay Never chestnut Never No More. Here, under Shane Crosse, Eagle Song travelled sweetly before putting his seven furlong assignment to bed by two and a quarter lengths. For good measure for the O'Briens, second home was National Guard (Aidan and Donnacha). "He's had a good few runs earlier in the year and you need to maybe just kid him along a small bit," said Crosse. "He was the best of them at the furlong pole and it was just a matter of getting his head in front. "It was like a bit of work for him. I dropped him out and got him to relax. He was passing horses without him knowing it and that was the main thing with him." Donnacha O'Brien landed the last two races at Naas as Perfect Tapatino sent favourite backers home happy after the nightcap. This mile and a half was a new trip for the four-year-old colt but he certainly relished it. He was ridden into contention in the final quarter of a mile of this handicap and came through to challenge Bit Of Banter at the furlong pole. He got on top in the final 100 yards and passed the post a cosy half length to the good. Joseph O'Brien's charge was returned at 11/4 from 7/2. Runner-up Bit Of Banter was a 4/1 chance. Uncle Henry (16/1) and Cacique Royale (8/1) gave their backers an each-way dividend in third and fourth respectively. “The step up in trip suited,” Donnacha O'Brien said. Roscommon's season concludes on Monday, with Joseph O'Brien again in search of the feature event on the card, the Grade Three Ballymore Irish EBF Novice Chase. 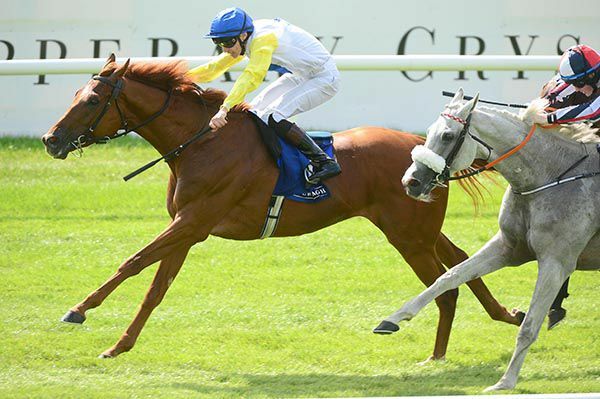 Twelve months ago when the extended two-miler carried its traditional Kilbegnet moniker, O’Brien struck with the JP McManus-owned four-year-old Landofhopeandglory. Mark Walsh donned the famous green and gold of his boss then, and again the Kildare man rides for McManus and O'Brien here. This time his mount will be Monarch, a Galileo gelding that arrives with a record of three wins from his last four starts. 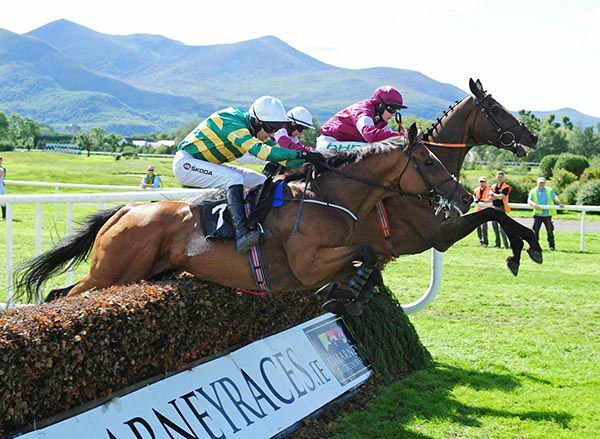 His towards-the-rear effort in the white-hot heat of the Galway Hurdle should not be viewed too harshly, and the five-year-old is clearly a horse in tip-top form. Monarch is joined by stable companion Dawn In The Park. Shane Shortall rides this Walk In The Park mare for Gigginstown House Stud.